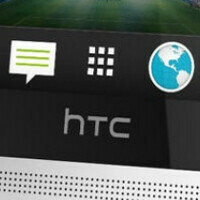 We've seen plenty of leaks for the HTC One mini including one that we passed along earlier Monday morning. That leak suggested that the HTC One mini would see the light of day by the end of this month. With that in mind, it might not have seemed like a huge surprise to see HTC tease its new bite-sized HTC One variant by posting an infograph about all sorts of small things that made it, uh, big. For example, Paranormal Activity was filmed with a budget of just $15,000 and generated revenues of $197 million worldwide. Even though he was just 5'6" soaking wet (yes, that's a joke) Spud Webb won the NBA's Slam Dunk title in 1986 and the mighty mite can lift 1180 times its own weight! The point of the whole infograph is that great things can come in small-or mini-packages. While HTC was said to have taken down the blog with the infograph included, that doesn't seem to be the case anymore. Actions speak louder than words, and this move by the Taiwan based manufacturer might be screaming at us that we are about to see the HTC One mini get unveiled shortly. "The HTC One, by many accounts, is the pinnacle of smartphone achievement. The beautiful metal design, powerful hardware and innovative user experience pack a lot into a svelte package, making it hit with critics and consumers alike. This success has only boosted our passion to bring the One experience to as many people as possible." The iPhone could actually be compared to Paranormal Activity. One crappy sequel after another, people still keep coming back.